THE $1.2 billion capital expenditure in the 2018 National Budget Statement is not adequate to drive robust growth in the economy. 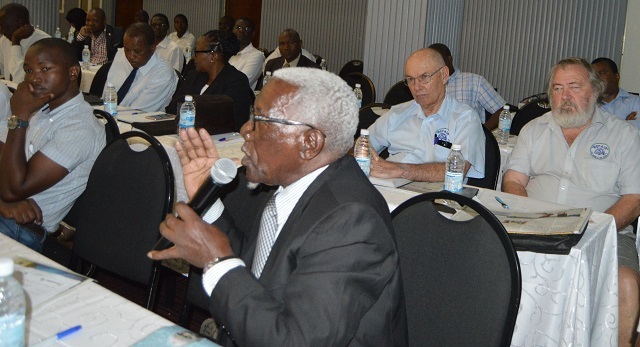 Industry and commerce experts said this in Bulawayo yesterday during a national budget policy review symposium organised by The Chronicle Business in partnership with IMC Worldwide. Finance and Economic Development Minister Patrick Chinamasa last week presented a $5.1 billion budget for 2018 in which capital expenditure has been pegged at $1.2 billion. The budget will cumulatively reach $5.743 billion including Retention Funds with current expenditure of $4.5 billion. Contributing during the highly subscribed event, participants applauded Government for trimming public expenditure but expressed concern over limited capital expenditure. They said more resources should be harnessed to finance capital projects that will expand the economy and create more job opportunities. “Our capital budget at $1.2 billion is too little. This figure is just what the Ministry of Health and Health Care needs alone,” said Dr Pius Ncube, a Zimbabwean based in the diaspora. “The $1.2 billion is a budget for a single company in South Africa. This shows there is a problem in our economy. “However, coming from a background where the bulk of our budget, about 96 percent, was gobbled by salaries, it’s a positive development in terms of direction”. A number of capital projects under the Government’s five-year plan — the Zimbabwe Agenda for Sustainable Socio-Economic Transformation (Zim-Asset 2013-18) have stalled due to shortcomings in harnessing the estimated $27 billion that is required to steer the developments. The situation has been compounded by high costs of finance at home and reluctance to avail lines of credit to Zimbabwe by multi-lateral lending institutions. Government already owes nearly $10 billion in foreign debt, which affects her country risk image. Participants said they were excited by the proposed economic reforms contained in the budget and urged Government to walk the talk to achieve a quick turnaround. In his budget statement, which ran under the “New Economic Order” theme, Minister Chinamasa indicated serious commitment towards aggressive transformation through industrialising the economy, diversification and moving away from reliance on export of raw materials. Accordingly, the 2018 budget expects the economy to grow by 4.5 percent next year. This dream can only be achieved if key players in the economy can engage in an action plan to produce positive results, private and public, participants said. The budget statement is heavily loaded with a number of policy measures aimed at stimulating the economy. These include among others; fiscal consolidation measures, dealing with corruption, amendment of the Indigenisation Act, policy measures aimed at the agricultural sector and parastatal reforms.